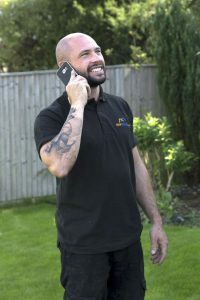 Roof Rescue are a professional full service roofing business whose success is due to our unique blend of skilled, trustworthy and reliable tradesmen and a commitment to customer satisfaction that is second to none. This is one of the reasons why so many of our customers come to us through personal recommendation and word of mouth. A. We cover all areas of South London and Kent including but not limited to: Bromley, Biggin Hill, West Wickham, Westerham, Sevenoaks, Beckenham, Orpington, Chislehurst, Sidcup, Dulwich, Blackheath and Greenwich. Q. 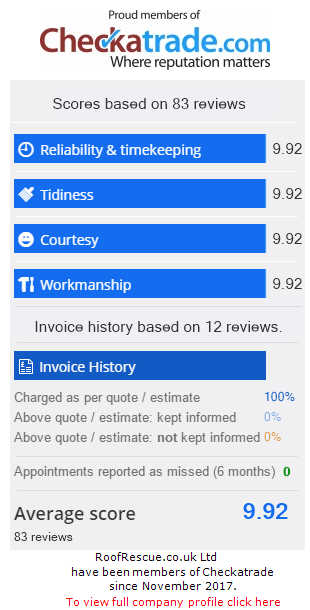 How much experience do you have in roofing? A. 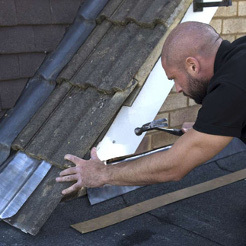 Collectively we have over 40 years’ experience in repairing, installing and maintaining traditional roofing. Q. The condition of my roof is good however the existing fascias and soffits are old and ruin the look of my property – is there something that can fix this problem? A. 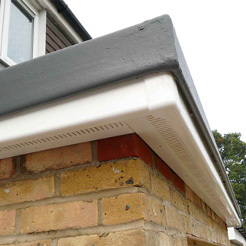 Of course, we can provide timber or uPVC fitted fascias and soffits in a variety of styles and colours and are a relatively simple solution to this type of problem. They are also easy to install and are maintenance free. Q. My roof is leaking. Do I need to get a complete new roof? A. Not necessarily. The leak could be due to loose or damaged flashings or possibly just a slipped tile. If you are experiencing a leaking roof then it is advisable to have it checked out immediately as there could be more underlying problems. Q. Surely I don’t need a new roof as it’s not leaking? A. 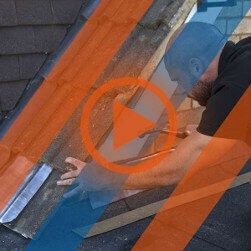 A leaking roof isn’t the only reason for replacing a roof. However we would advise against waiting for leaks to appear as you may end up with more damage which could have been rectified earlier. Your roof will perish in various areas due to old age and weathering over the years and, in this scenario, your roof may not be leaking, but it could be hazardous to the public. Q. What is the life expectancy of a felt, flat roof? A. We only use high performance felt so the life expectancy can be 10 to 15 years. Q. 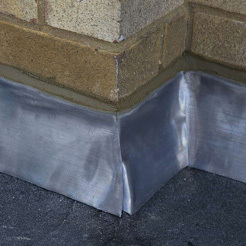 Do flat felted roofs need to be covered with chippings or shingle? A. This is not 100% necessary. New high performance felts have a granular mineral finish to the top layer which acts as UV and Solar protection. Q. Should I have my chimney looked at before I have roof work done? A. 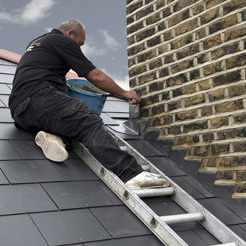 If your chimney requires any maintenance or repair, we recommend to ask the roofer to inspect and give advice on the chimney condition while access is in place so that the work can be co-ordinated in line with your roofing works. A. Typically, having your gutters cleared once a year will suffice. However, if your property is within an area that is surrounded by trees, then you could suffer from blocked gutters more than others and if this is the case we recommend getting your gutters cleared 2 to 3 times a year. Q: Can anything be done to improve the insulation in my home? A: Certainly. 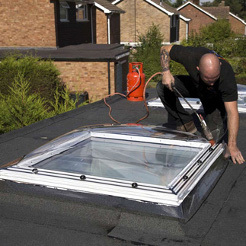 We can install additional insulation to the roof space which would make a considerable saving to your energy costs. A: Yes, all our workmanship is guaranteed for a minimum of 6 months. 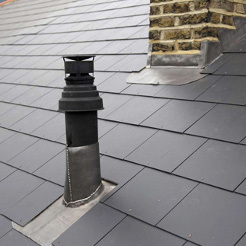 All new pitched roofs come with a 15 year guarantee and new flat roofs are companied by a minimum 10 year guarantee. A. Yes. Roof Rescue are fully covered for public liability up to the value of £5million including the application of heat. Q. What are the available payment methods? A. We accept cash, cheque or bank transfer. Q. I have an out of hour’s roof problem. Are you able to make an emergency visit? A. 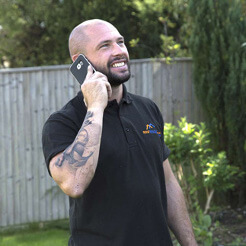 We offer 24 hour advice and emergency assistance – 7 days a week. Please note that we would do our upmost to make an emergency visit but we may not be able to attend site until the next working day. Q. Do you have your own scaffolding? A. We use local, reliable scaffolding companies that provide us with access to various types of roofing scenarios. Scaffold access is not always necessary but this is needed then all access costs are included within our quotation for roofing work.